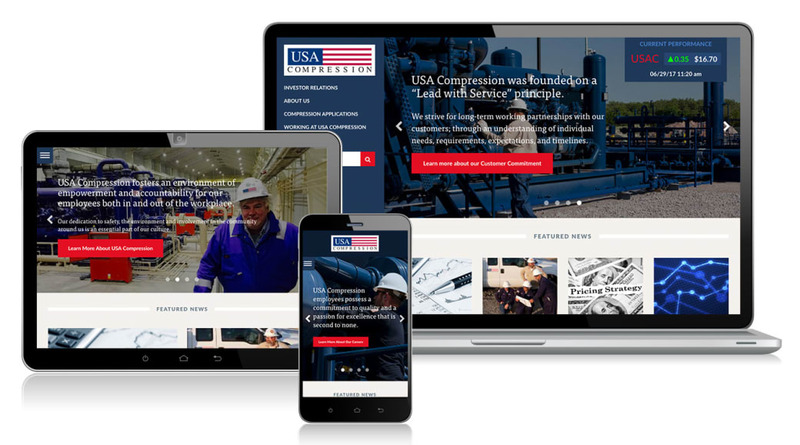 One of the primary objectives and challenges for the new USAC site was to draw in new talent by showcasing all of the wonderful things about being a part of the USAC community. The old site felt bland and uninteresting, which was a far cry from the actual experience of working at USAC. 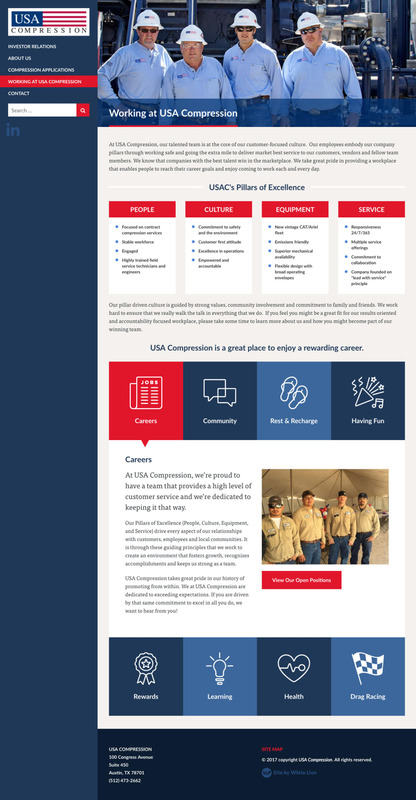 In addition to improving the overall branding and aesthetic of the site, we also placed a lot of emphasis on the career page itself. 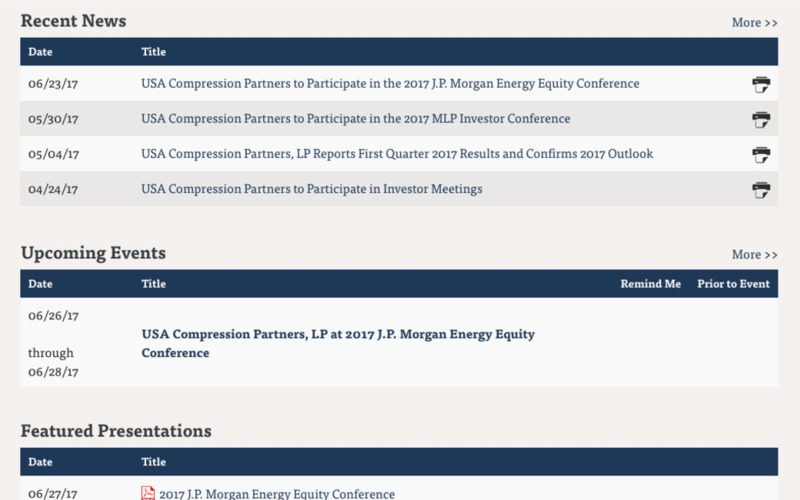 The result is a highly interactive experience that allows potential employees to get a full landscape view on the company and the benefits of joining the team. 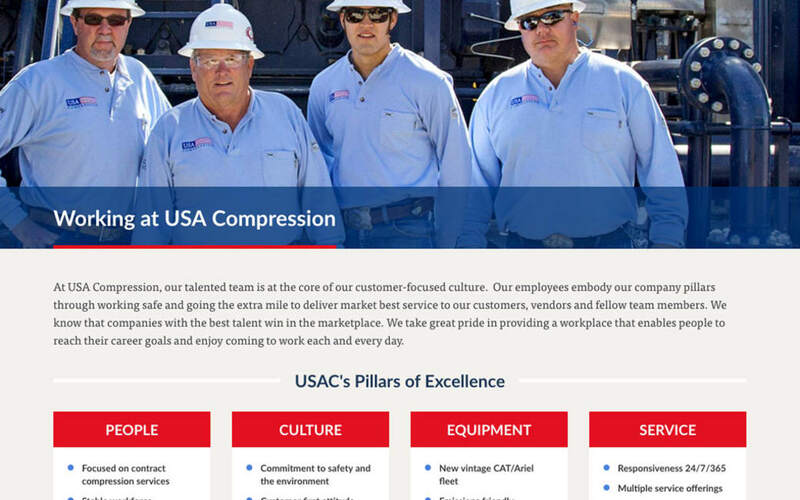 The team at USAC was a blast to work with, and we felt that the end result was one of our most drastic improvements yet. When it came to design, it was clear that the patriotic colors would shine through. We chose fonts that were fun but also sophisticated and modern, and the overall aesthetic turned out classy and polished. 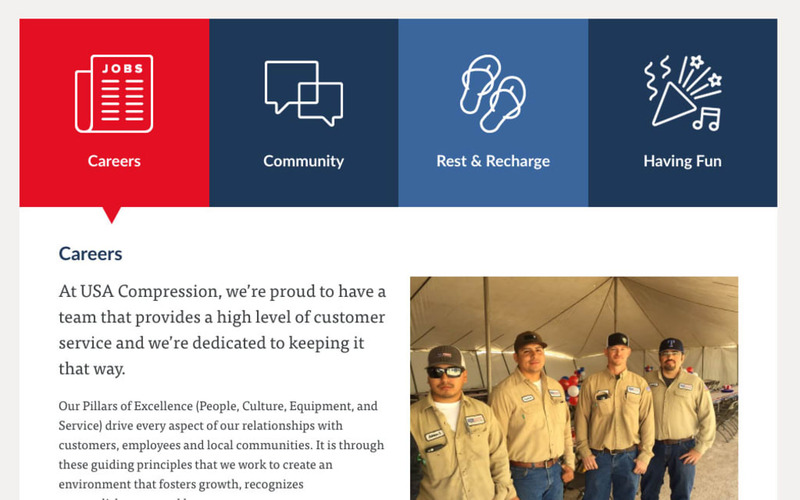 Sleek responsive elements allow for a friendly and simple mobile experience as well. 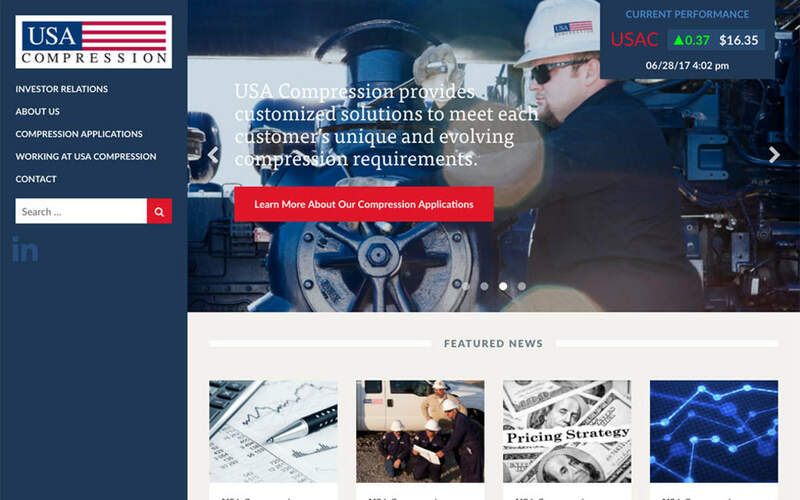 We loved having the opportunity to work with the USA Compression team and we know they are enjoying their newly upgraded website! 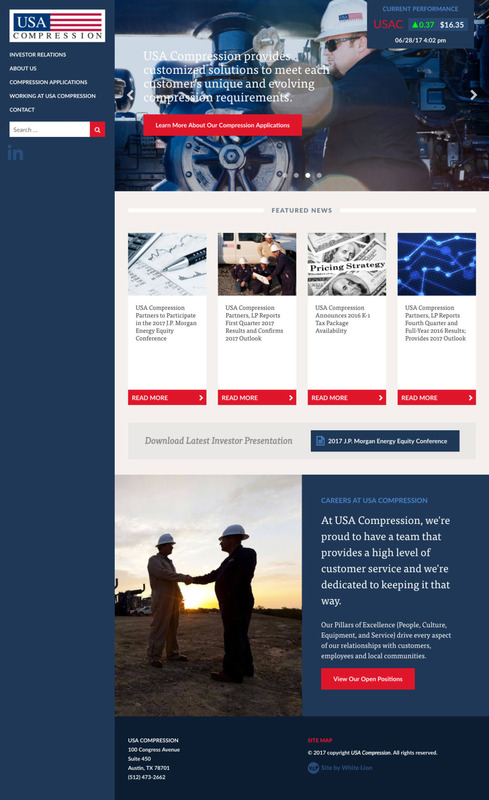 The site is responsive which was another major upgrade for our client. The left sidebar is exceptionally unique. It is persistent on a desktop size and hides on tablet and mobile sizes. This allows the user to toggle the menu as needed.